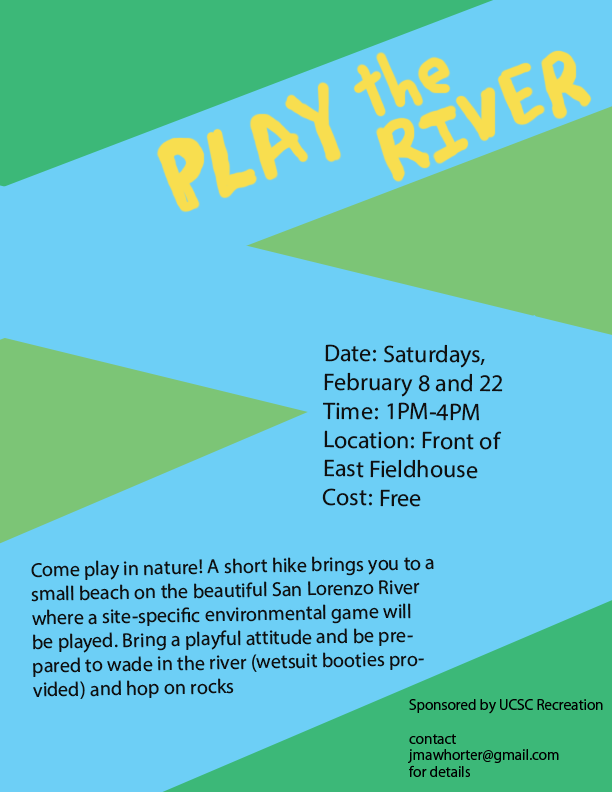 Come play in nature and help playtest experimental environmental games! A short hike brings you to a small beach on the beautiful San Lorenzo River where the games are played. Games For San Lorenzo River, Henry Cowell Redwoods Hiking Trail is a pair of site-specific environmental games designed for natural play using natural materials. Bring a playful attitude and be prepared to wade in the river (wetsuit booties provided) and hop on rocks.